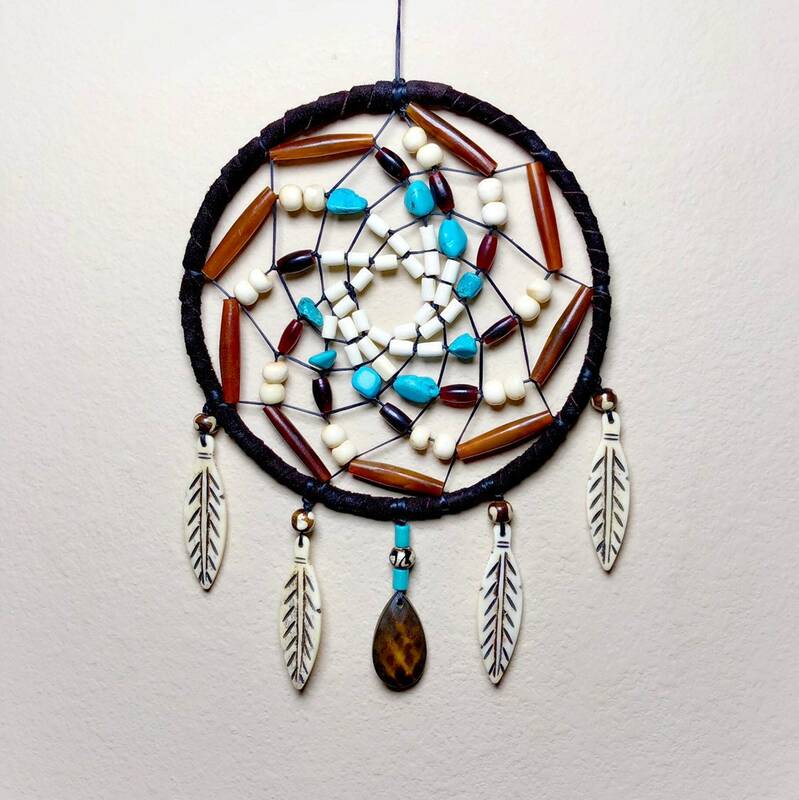 Authentic Native American dreamcatcher. 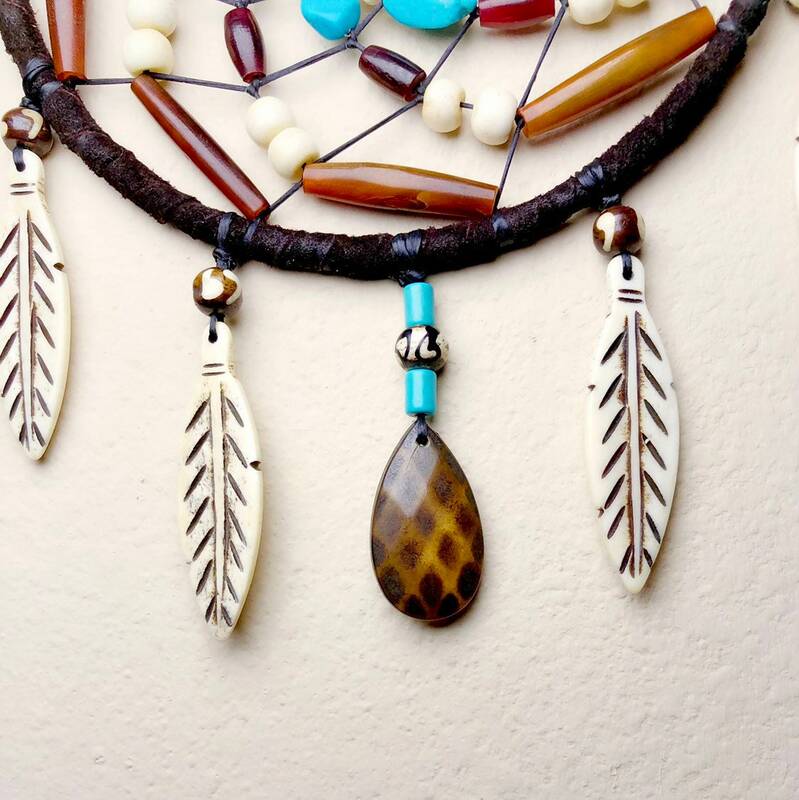 Made with traditionally (chemical free) smoked buckskin, buffalo bone beads, turquoise beads, and a hand carved buffalo bone feathers. Dimensions are approximately 7” wide by 9” long, not including hanger. 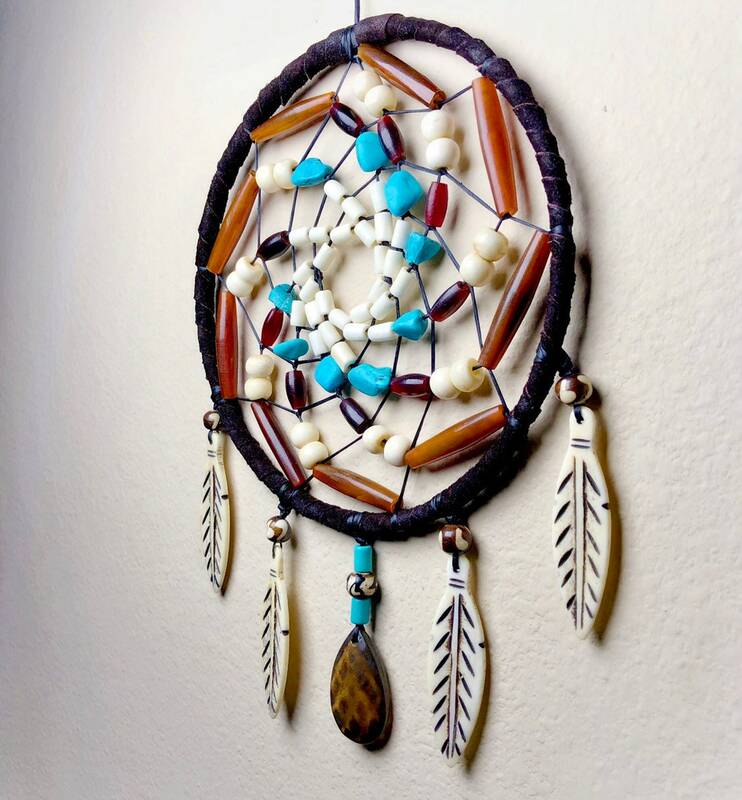 Beautiful dream catcher ... packed very well and arrived promptly. Thank you!